Fresh off a much needed bye week, the San Diego Strike Force will be looking to earn its first win in franchise history when they welcome the Green Bay Blizzard to the historic Sports Arena for another round of indoor football action. Breakdown: Derrick Bernard is having a stellar season so far, topping the Indoor Football League in passing yards while recording the third most touchdown passes. His leading targets are Marques Rodgers, who is averaging a team-high 75.7 yards per game, and Julian Stafford, who leads the Strike Force in points (36) and touchdown catches (6). On defense, Kenric Young and Timothy Moten are the top tacklers on the team. 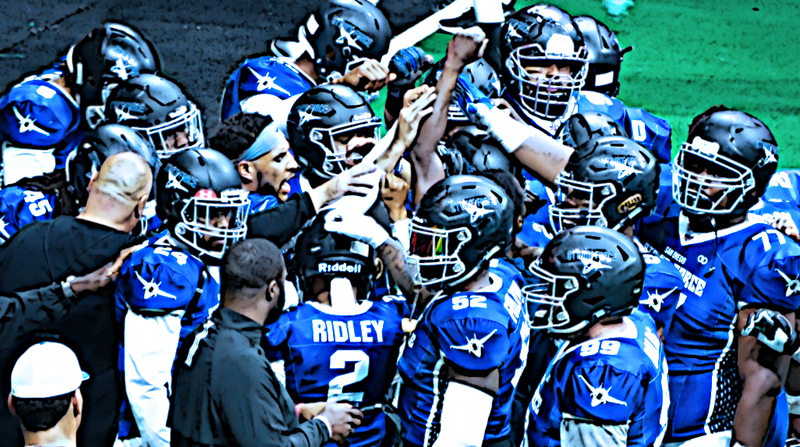 Breakdown: After being held to just three points in their last outing, the Green Bay offense would love to unleash it's frustration on a defense that leads the IFL in points allowed per game. Much like Bernard, Blizzard quarterback Lenorris Footman can also get it done on his feet, leading the team in every rushing category. Marquez Gollman, who has two interceptions and a fumble recovery, is a player to watch for on the defensive secondary.